and, 56 % iin graduation. Can i apply for IBPS Clerk exam after completing 10th with 52%, 12th with 48.88% and Graduation with 52.86%? 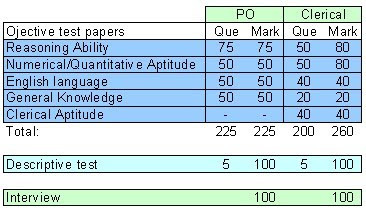 Re: Am i eligible for IBPS Clerk and PO exam after 10th with 52%, 12th with 46% and 56% in graduation? Any degree from a recognized University or any equivalent qualification recognized as such by the Central Government.The Minimum marks required in Graduation is not mentioned.Candidates,who completed graduation can apply for IBPS PO CWE and clerk. so if you are graduate then you can apply ,percentage does not matter. The educational qualifications required for IBPS PO exam are as follows. mentioned. Candidates, who completed graduation, can apply for IBPS PO CWE. It is good to maintain a percentage of above 55% for bank jobs. Many of the banks ask for percentage above 55. So you are eligible according to your statistics. In 12th you don’t have good percentage, so this may effect on some of the bank jobs. You have less percentage in all the classes but as you have more than 55% in Graduation,it saved you.So apply to both the Clerk and P.O Posts with your B.tech qualification. * Candidates must have completed GRADUATION with at least 60% of marks. The above mentioned are the eligibility details of P.O Exam. Thus the above mentioned are the details of the BANK EXAMS. For Clerk: Minimum 10th for IBPS clerical examination. For PO: Minimum Graduate in any stream for IBPS PO examination. You can apply for clerical post as well as PO, BUT you will face problem at the time of individually call from Banks. Because, at that time, bank will require Minimum 60% in 12 for Clerical post or Graduation with pass. and for PO, minimum Graduation with 60% marks. IBPS PO or Clerk exam which has been conducted by the IBPS institute in which 19 banks participated. According to qualification you can apply for the job posts . after the Graduation you can apply for the BANK PO job post but your Qualification marks in 12th or 10th class are so low . If your are belong to general category then you can not apply for the IBPS PO entrance exam . If you belong to Sc/ST caste then you are eligible for the Apply the IBPS PO entrance exam and interview..
1.Educational Qualification: you should be passed the 10th or 12th with atleast 55% marks. But for the Sc/ST you have to passed with minimum 45% marks. 2. In the bachelor degree minimum 55% marks from any recognized university. for the Sc/ST: 45% marks. 5 years age relaxation for the Sc/ST. 3 years age relaxation for the OBC. No you will not be eligible for appearing in IBPS exam by securing this marks. For bank clerk exam class 12 marks keeps importance thus you have very low percentage thus you will not be able to appear for IBPS clerk exam even if you comes under reserved category. However your graduation marks is concernd ,you will only be eligible for appearing in IBPS P.O exam if you comes under SC/ST categories. The minimum percentage required for general and obc candidates for appearing in IBPS bank clerk and PO exam is 60% and above. for the bank PO post eligibile % is 60% marks in graduation. IBPS:: IBPS stands for institute of banking personnal selection which is a autonomous body approved by government of india and IBA for conducting common written examination for public sector banks in india. Their are 19 public sector banks participating in the CWE examination. The CWE examination for P.O/Clerk is conducted by IBPS every year for the eligible candidates who are interested to join Public sector banks. The candidates who are interested to join any of the participating banks will have to qualify in the CWE examination. P.O:: Educational qualification->> Graduation from recognised university/colleges. CLERK:: Educational qualification->> 10th with 60% marks (pass for sc/st) or 12th with 55% (pass for sc/st) or passed in graduation. To give the IBPS exam you need to be a graduate in any discipline from a recognized university. Age should be between 20-30 years. Its important to maintain 60% at 10+2 level to sit for this exam. Selection procedure includes written exam followed by interview session if you are selected. Am I eligible for Allahabad bank clerk exam after 84.17% in 10th and 59.06% in 12th? can i give ibps clerk exam after 12th? -- The candidate should be complete Graduation/Degree in any stream from a recognised university. -- The Candidate Must Have Age limits is 21 years to 30 years,3 years upper age relaxation for the OBC category,5 years upper age relaxation for the SC/ST category. You are not eligible for the bank jobs especially for PO post. Because you have very less aggregate in intermediate only 45%.For applying bank PO's you must have the 60% aggregate in all academic career. 1. Candidate must have any degree qualification from any recognized university. 2. Candidate must secured 60% aggregate in academics. 3. Candidate should have age between 21 - 30 years. Definately, you are eligibile to apply for the IBPS probationary officer examination. It only needs you need to posses a graduation degree from an recognised university. With that, you must also be the citizen of India. There is an age limit for this exam which is 21 years to 30 years. Age relaxations is applicable according to rules stated. The interview is an further process after written examination but it's not conducted by IBPS. The respective bank will call the selected students, as per them the criteria would be stated.